An Arizona police officer attempting to pull over an armed carjacker was fatally shot when the suspect allegedly exited the stolen vehicle and opened fire. 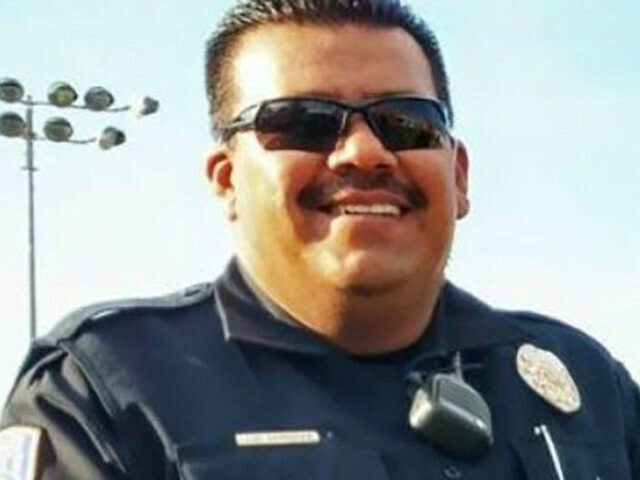 The Nogales Police Department identified the fallen officer as Jesus “Chuy” Cordova, 44, who died when the suspect shot him multiple times Friday afternoon, Fox News reported. The slain officer tried to apprehend suspect David Ernesto Murillo, 28, of Tempe before he allegedly drove off in another stolen vehicle. Cordova’s death was the first officer fatality in the close-knit town of Nogales in nearly 129 years, the Arizona Republic reported. “The community of Nogales will never be the same, but we hope that this unity continues well into the future,” Nogales Police Chief Roy Bermudez wrote in a statement on Facebook thanking the community for their well-wishes. Officers and other law enforcement agencies closed in on Murillo after he allegedly carjacked a third vehicle and attempted to escape to a trailer park on foot, the Republic reported. Cordova is survived by three children and a pregnant fiancée. He had been a ten-year veteran detective with the Santa Cruz County Sheriff’s Office in Nogales before joining the Nogales Police Department in May 2017.